Replacement of 1,300 linear feet of timber bulkhead with a vinyl bulkhead. 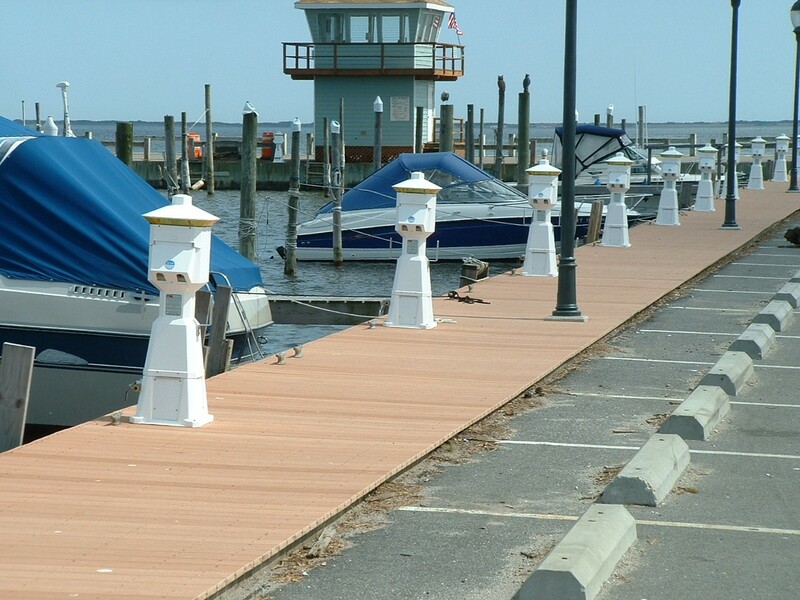 Bay Shore Marina and Bulkhead replacement on the Great South Bay. Reconstruction of the Town of Southampton’s Tiana Beach (Bayside). 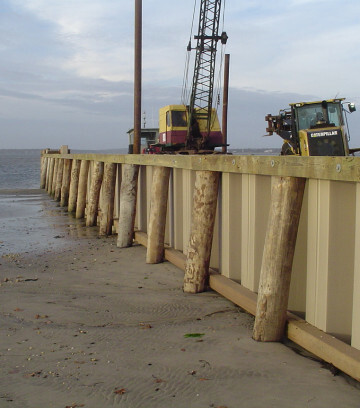 Steel bulkheading and permitting services for the replacement of 410 linear feet of timber bulkhead. 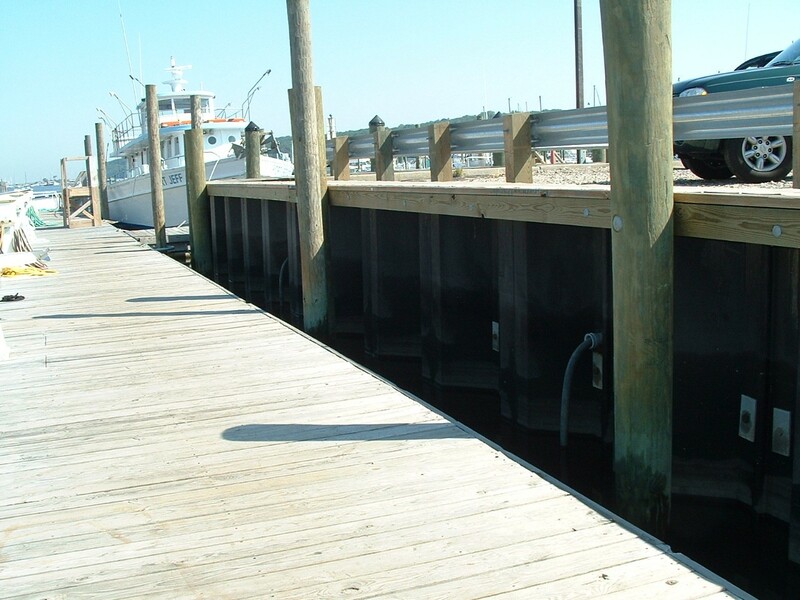 Improvements included replacement of 1,200 linear feet of timber bulkhead and rehabilitation of 56 slip marina. 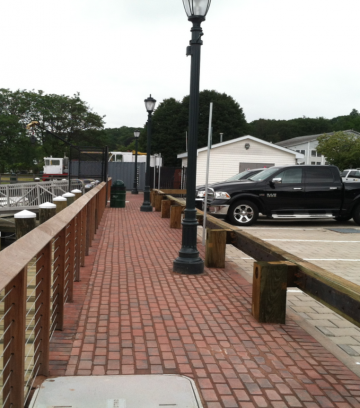 The Town of Brookhaven hired LKMA to prepare permit drawings for the replacement of two sections (totaling 350 linear feet) of old steel bulkhead situated within the Port Jefferson Marina. The project required separate NYSDEC Tidal Wetland approvals and was bid separately. 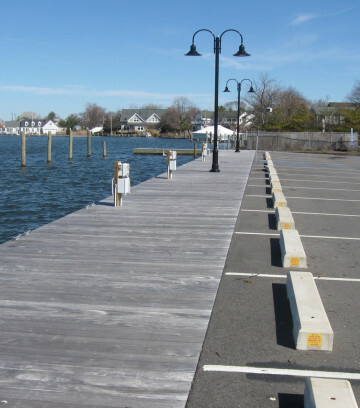 The Contractor (for both projects) removed the existing steel bulkhead system and installed a fiberglass sheet pile (Mary Bayles Park @ Danfords) and marine grade steel sheet pile (West Annex). 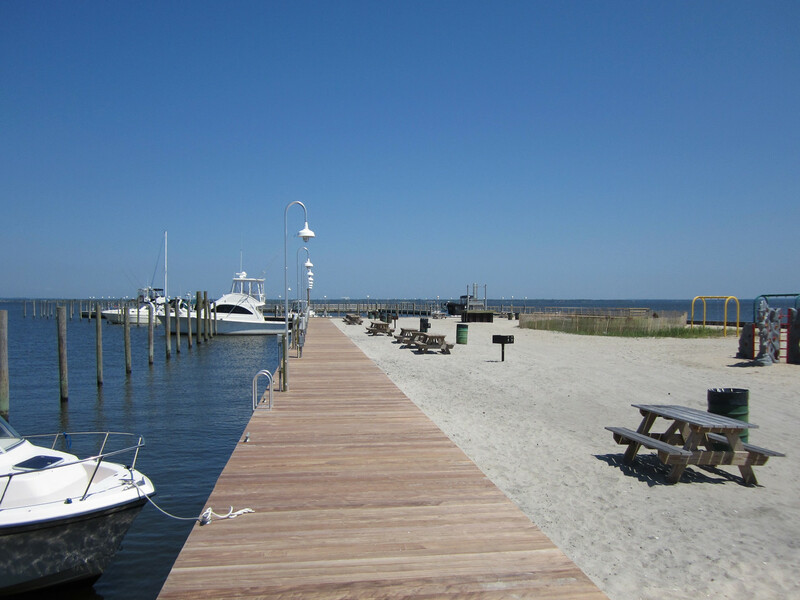 Any and all electrical distribution lines were temporarily removed and replaced once the bulkhead installations were complete. 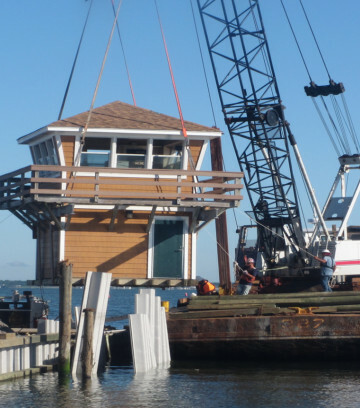 During the five month construction schedule, the project required coordination with the existing ferry company, party-boat vendor (Martha Jefferson), Danfords Restaurant and the general public using the parking lot facility. All construction was completed without incident, on-time and within the project’s budget ($525,000). LKMA prepared the permit package, bid specifications and construction drawings for each of the two marine construction projects and provided construction management and support services during the construction of the project. 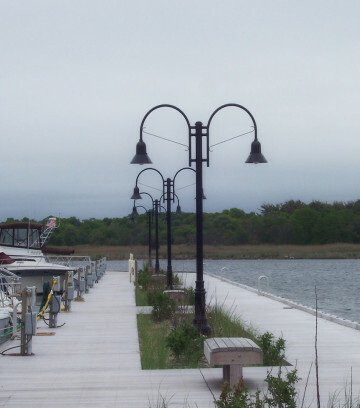 The Town of Brookhaven hired LKMA to prepare construction drawings and technical specifications for the demolition of the existing boardwalk that provides electric and water service to the one hundred (100) transient boat slips. The project consisted of removing the existing timber boardwalk and replacement of substructure, replacement of all water lines and electric conductors, installation of new composite timber decking material, new multi-function (water, electric, cable) power posts, replacement of old cedar lightpoles/fixtures with new decorative cast iron lightpoles/fixtures, installation of environmentally sensitive concrete walkway and new 600-amp electrical service upgrade to the site. The construction schedule lasted five months and had a total cost of $516,000 associated with the project. LKMA prepared bid specifications and construction drawings for all of the above referenced improvements and provided construction management and support services for the project. 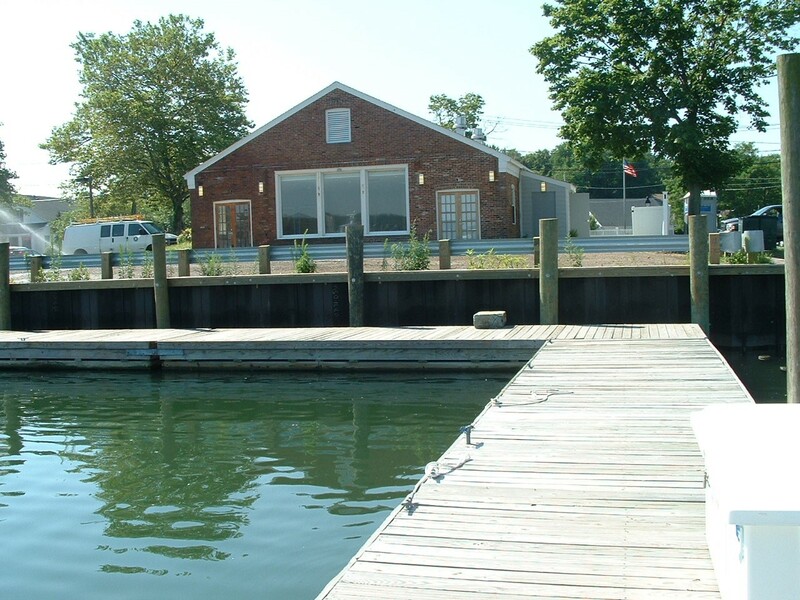 In response to the destruction caused by Hurricane Sandy, LKMA provided a damage assessment report, final contract bid documents and construction inspection for the extensive repairs that were necessary to re-open the Town of Islip facility to the public before Memorial Day 2013. 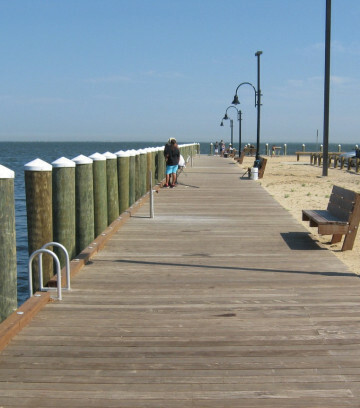 Repairs included 550 feet of bulkhead replacement, complete replacement of the dock’s electrical system, boardwalk reconstruction and repairs to existing comfort stations.